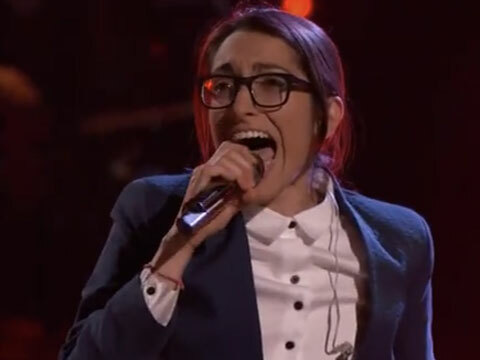 Michelle Chamuel's return performance proved why she was almost number one on The Voice last season. Last season’s The Voice runner-up, out alt-rocker Michelle Chamuel, returned to show last night for an incendiary performance of her new tune “Go Down Singing." Sadly, her The Voice Coach Usher was not on hand to for the performance as Cee-Lo and Christina Aguilera returned this season, but that didn’t stop Michelle from blowing the doors off the place anyway! “Go Down Singing” is currently at #12 on the iTunes Pop Chart and #22 on the iTunes Top Singles chart.